Founded in 1986, Deep Root Organic Co-op was growing and marketing organic vegetables on a regional level before buying local be­came a national trend. Now, with demand for fresh, healthy produce on the rise, the co-operative is connecting more consumers with family farmers in our region. Deep Root’s 25 years of experience has demonstrated the strength of the co-op model and farmer ownership in supporting a more vibrant and resilient food system. 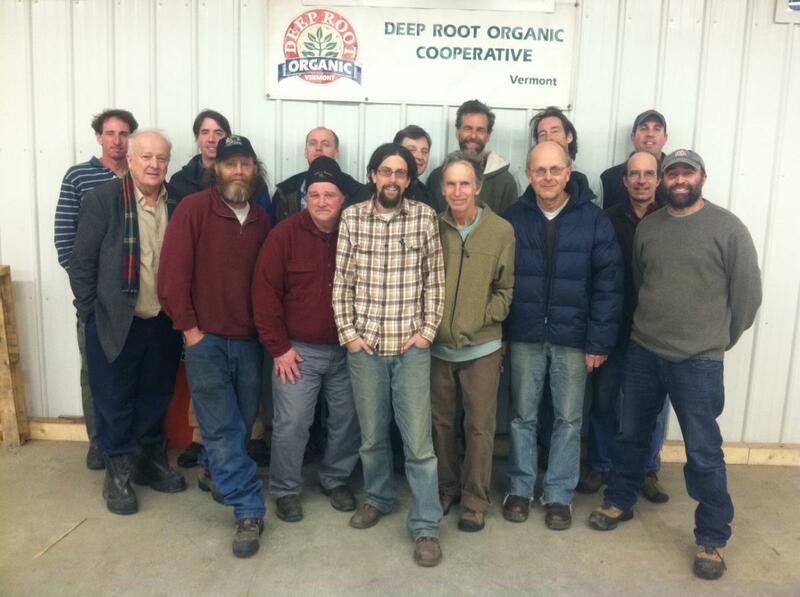 Based in Johnson, VT, Deep Root includes nineteen member farms across Vermont and the eastern townships of Québec. Anthony Mirisciotta, who joined the co-op as sales manager in 2011, links members with distributors and retailers across the Northeast. On a weekly basis, farmer members send him a list of what they’re harvesting — everything from tomatoes, cucumbers, corn, peas and fennel to several varieties of lettuce, kale, chard, cabbage, broc­coli, and collards — and Anthony in turn contacts buyers to arrange orders and delivery. Thanks to the northern climate, Deep Root is best known for root crops such as carrots, parsnips, beets, ruta­bagas, burdock, and black radish, and a large variety of winter squash. More recently, the co-op has partnered with the Neighboring Food Co-op Association (NFCA) to extend the marketing season for its members and the availability of regional produce for consumers. Now in its second year, the NFCA’s Farm to Freezer project will move more than 13,000 pounds of regionally sourced and processed frozen fruits and vegetables, including organic broccoli and sweet corn from Deep Root members. Deep Root’s sales have grown from around $50,000 in its early days to more than $2 million dollars in 2011. And with revenue up over 40% in 2012, the co-op is looking at its best year ever. “As we share the risks, we also share the gains,” says Mirisciotta. “This and our recent growth in sales encouraged four new farmers to join our co-operative this year alone.” As sales have continued to grow, the co-op has stayed true to its mission as a member-owned and controlled enterprise. From the beginning, Deep Root has collaborated with the wider co-op movement. Food co-ops were early customers, and support from the Cooperative Fund of New England, a community development loan fund that facilitates investment in co-ops, has enabled Deep Root to grow over the years. The co-op recently completed the construction of a warehouse facility, enabling its members to have more control over the storage and distribution of its products and providing much needed office and meeting space for the growing business and its employees. As farmers, food system activists and policymakers explore options for regional production and distribution. Deep Root makes a strong case for co-operative enterprise as a successful and resilient business model. Being organized as a co-op means that Deep Root members can focus on their farms, and use their collective resources to marketing their products as a group. By pooling their production, members can also provide a more diverse and reliable source of quality, organic produce. Because the co-op is farmer-owned, it is rooted in the region and accountable to its members, rather than to the priorities of external owners or investors. And together, farmer co-ops and food co-ops are building a healthy, just and sustainable food system in our region. For more information on Deep Root Organic Co-op, member farms and their products, please visit their web­site: www.deeprootorganic.com. Erbin Crowell is executive director of the Neighboring Food Co-op Association (www.nfca.coop ).